To order a transcript check the box “Request Transcript” when selecting the college. OR, if you’ve already added the college and now want to order a transcript, click on the “Request Transcripts” link at the top of your list of colleges and check the “Add Request” box next to that college. Determine which colleges want Midyear Transcripts (aka 7th semester) by checking your colleges’ portal accounts. *Note: All Common App (CA) colleges want Midyear Transcripts. In Naviance, go to “Colleges I’m Applying To” and print out your list of colleges. Highlight or Circle the college(s) that need a Midyear Transcript. Hand the printout to the Registrar in Counseling and she will send your Midyear Transcript accordingly. Take the Senior Graduation Survey and be sure to check the box “Request Final Transcript” next to the college you’ll be attending. Check the “Transcripts” page under the “Colleges” tab in Naviance for confirmation your transcript was sent. For current students, please use the Infinite Campus Parent or Student Portal. 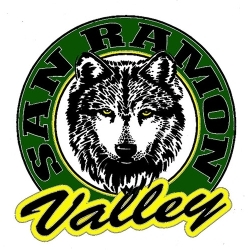 Go to the www.srvhs.net home page, click on the Infinite Campus link and login. Click on REPORTS and select Portal Transcript.